Collaborative tagging is the process by which users classify shared content using keywords. Although its popularity keeps growing on the Web, content retrieval can be difficult since people tag differently. Moreover, there are some well-known linguistic phenomena. Recently, several attempts to avoid such limitations by recommending tags to users or by creating tag clusters have been presented. In this paper we propose an approach to cluster tags by monitoring the activity of the users in a tagging system. The created clusters can be used to recommend tags when a user uploads or searches a resource, in order to facilitate content retrieval. Experiments are performed by comparing with a classic tag clustering approach and results show the capability of the approach to cluster strongly related tags. Xujuan Zhou, Yue Xu, Yuefeng Li, Audun Jøsang, and Clive Cox. “The state-of-the-art in personalized recommender systems for social networking”. Artif. Intell. Rev., 37(2):119–132, 2012. Scott A. Golder and Bernardo A. Huberman. “Usage patterns of collaborative tagging systems”. J. Information Science, 32(2):198–208, 2006. Ido Guy and David Carmel. “Social recommender systems”. 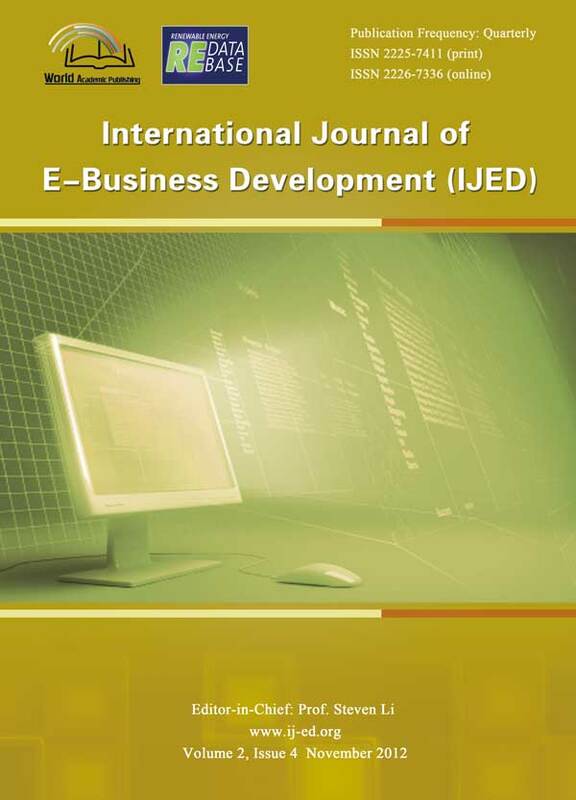 In Proceedings of the 20th International Conference on World Wide Web, WWW 2011, pages 283–284. ACM, 2011. Panagiotis Symeonidis, Alexandros Nanopoulos, and Yannis Manolopoulos. “Tag recommendations based on tensor dimensionality reduction”. In Proceedings of the 2008 ACM Conference on Recommender Systems, RecSys 2008, pages 43–50. ACM, 2008. Steffen Rendle and Lars Schmidt-Thieme. “Pairwise interaction tensor factorization for personalized tag recommendation”. In Proceedings of the Third International Conference on Web Search and Web Data Mining, WSDM 2010, pages 81–90. ACM, 2010. David Carmel, Haggai Roitman, and Elad Yom-Tov. “Social bookmark weighting for search and recommendation”. VLDB J., 19(6):761–775, 2010. Sharon Givon and Victor Lavrenko. “Large scale book annotation with social tags”. In Proceedings of the Third International Conference on Weblogs and Social Media, ICWSM 2009. The AAAI Press, 2009. Kai Bielenberg and Marc Zacher. “Groups in social software: Utilizing tagging to integrate individual contexts for social navigation”. Digital Media. Bremen, Germeny, University Bremen. Master of Science in Digital Media, 120, 2005. Grigory Begelman, Philipp Keller, and Frank Smadja. “Automated tag clustering: Improving search and exploration in the tag space”. In Proceedings of the WWW Collaborative Web Tagging Workshop, Edinburgh, Scotland, 2006. Ludovico Boratto, Salvatore Carta, and Eloisa Vargiu. “RATC: A robust automated tag clustering technique”. In E-Commerce and Web Technologies, 10th International Conference, EC-Web 2009. Proceedings, volume 5692 of Lecture Notes in Computer Science, pages 324–335. Springer, 2009. Stijn van Dongen. “Graph Clustering by Flow Simulation”. PhD thesis, University of Utrecht, 2000. Salvatore Carta, Andrea Alimonda, Maria Laura Clemente, and Maurizio Agelli. “Glue: Improving tag-based contents retrieval exploiting implicit user feedback”. In Proceedings Of The 8th Dutch-Belgian Information Retrieval Workshop (DIR 2008), pages 29–35, 2008. Börkur Sigurbjörnsson and Roelof van Zwol. “Flickr tag recommendation based on collective knowledge”. In Proceedings of the 17th International Conference on World Wide Web, WWW 2008, pages 327–336. ACM, 2008. M. E. J. Newman and M. Girvan. “Finding and evaluating community structure in networks”, August 2003. Fabrizio Sebastiani. “Machine learning in automated text categorization”. ACM Comput. Surv., 34(1):1–47, 2002. Lucia Specia and Enrico Motta. “Integrating folksonomies with the semantic web”. In The Semantic Web: Research and Applications, 4th European Semantic Web Conference, ESWC 2007, Proceedings, volume 4519 of Lecture Notes in Computer Science, pages 624–639. Springer, 2007. Masahiro Hamasaki, Yutaka Matsuo, Takuichi Nisimura, and Hideaki Takeda. “Ontology extraction using social network”. In International Workshop on Semantic Web for Collaborative Knowledge Acquisition (SWECKA2007), 2007. Xian Wu, Lei Zhang, and Yong Yu. “Exploring social annotations for the semantic web”. In Proceedings of the 15th international conference on World Wide Web, WWW 2006, pages 417–426. ACM, 2006. Eirini Giannakidou, Vassiliki A. Koutsonikola, Athena Vakali, and Yiannis Kompatsiaris. “Co-clustering tags and social data sources”. In The Ninth International Conference on Web-Age Information Management, WAIM 2008, pages 317–324. IEEE, 2008. Inderjit S. Dhillon. “Co-clustering documents and words using bipartite spectral graph partitioning”. In Proceedings of the seventh ACM SIGKDD international conference on Knowledge discovery and data mining, pages 269–274. ACM, 2001. Ricardo A. Baeza-Yates. “Applications of web query mining”. In Advances in Information Retrieval, 27th European Conference on IR Research, ECIR 2005, Proceedings, volume 3408 of Lecture Notes in Computer Science, pages 7–22. Springer, 2005. Andreas Hotho, Robert Jäschke, Christoph Schmitz, and Gerd Stumme. “Folkrank: A ranking algorithm for folksonomies”. In Workshop Information Retrieval 2006 of the Special Interest Group Information Retrieval (FGIR 2006), pages 111–114, 2006. Robert Jäschke, Leandro Balby Marinho, Andreas Hotho, Lars Schmidt-Thieme, and Gerd Stumme. “Tag recommendations in folksonomies”. In LWA 2007: Lernen - Wissen - Adaption, Halle, September 2007, Workshop Proceedings, pages 13–20. Martin-Luther-University Halle-Wittenberg, 2007. Copyright © 2015 World Academic Publishing - All rights reserved.